We wish to inform all 2015/2016 aspirants of Nnamdi Azikiwe University (UNIZIK) that the supplementary admission list for 2015/2016 has been released. Candidates can check their admission status online now. 1.Enter Your JAMB Reg Number in the space provided. 2.Click on “Next” to check your admission status. 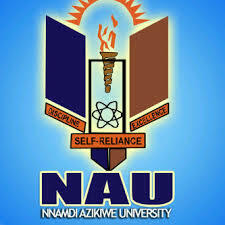 Nnamdi Azikiwe University came into being as an offshoot of the defunct Anambra State University of Technology (ASUTECH). ASUTECH which was established through Law No. 7 of 30th July 1980 by the Government of the old Anambra operated as a multi-campus university, with campuses in Abakiliki, Enugu, Awka and Nnewi. ¤ The award of degrees and such other qualifications as may be prescribed in conjunction with examinations held as aforesaid.